Why Is Your WordPress Site So Slow? Why Is Your WordPress Site Slow? Last year Google indicated that they will start ranking websites based on page load time. Slow websites have a slow down effect on the entire internet and Google is taking notice. Google is now considering page load time as one of the more important factors of your website’s search engine ranking. Not only will you ranking suffer from a slow load but so will your users. 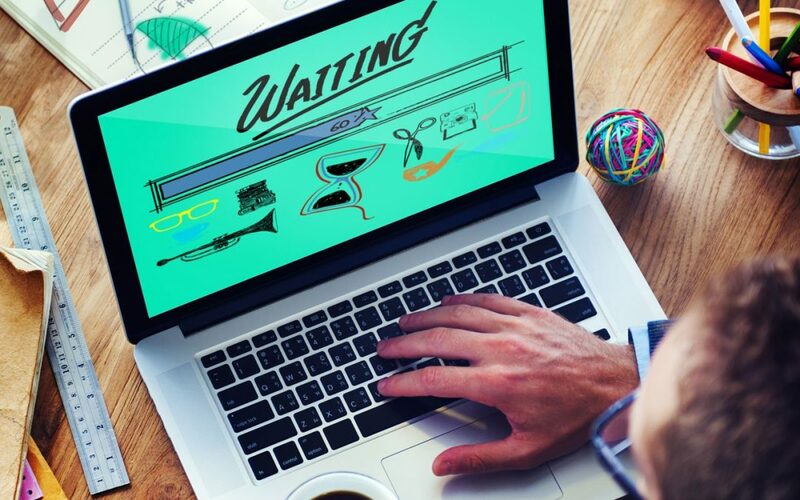 In our previous blog “Are your web pages too slow?” we found that according to Limelight Network’s second annual The State of the User Experience survey, in 2014, 37% of respondents said they would leave a website to buy a product from a competitor if that website failed to load quickly. Our new favorite is GTMETRIX. They give you the best results and the best suggestions of possible fixes, including PageSpeed and YSlow scores . Some hosting sites (we will get to this next) have built in optimization features. If your hosting doesn’t provide these then there are several great optimization tools out there for your WordPress site. We suggest Imagify or WP Smush for image optimization and Autoptimize and Cache Enabler for overall site optimization. Just follow the basic settings and you will see a major increase in your sites speed. WordPress sites can be slow in general that’s why you should pick a hosting platform that is specifically built for WordPress. Not only are these hosting packages optimized for WordPress but in many cases they have built in tools for optimization and back ups. We recommend Siteground, but there are several great ones out there like WP Engine and Flywheel. WordPress can get weight down by the plugins you use. Choose your plugins carefully and delete any that you aren’t using or offer duplicate funtionality. Optimize and clean your database with WP Optimize. This isn’t the end all be all for ranking, you still need to do the SEO work. But remember site speed is critical and another aspect of getting your site in front of people. Let me know your thoughts in the comments below!